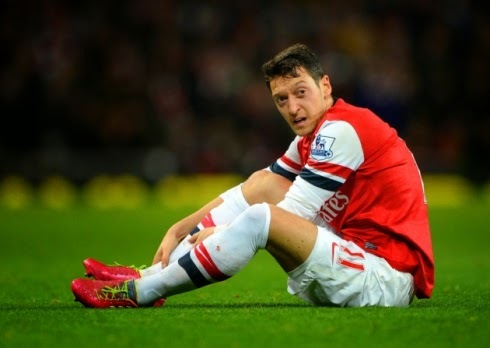 At the start of the Barclay's Premier League in August 2013 one thing was clear: Mesut Ozil was making a difference and this might be the season Arsene Wenger's team won the league again. Fast forward to April 2014 and the team was fighting for the fourth place entrance to the Champions League. This was meant to be Arsene Wenger's return. Instead it was Brendan Rodgers's breakout season with Liverpool. What happened? Will Wenger's finally leave? What is the next move for Arsenal? These are serious questions that the ownership group must be asking, not to mention Wenger and the players themselves. Was it the loss of Aaron Ramsey? The lack of a partner for Grioud? Did Özil run out of gas? It was sad to see the German national team fans boo one of their marquee players during a match earlier this year. Perhaps it was a symptom of where he was in his career and of Arsenal's tailspin. Clearly, the most pressing need for this team is a consistent second forward, the type of player that Robin Van Persie was for the club for so many years. The defense will also need some mending. Mertesacker can only do so much and the wide players are losing their touch. In any case, it's a sad ending in a season where Arsenal could have continued to excel and run away with. Instead this position was ceded to Liverpool. Of course, the Merseyside team has Luis Suarez, the best striker in the world at the moment.